The GoPro Hero4 Black is capable of capturing 4K video at 30 fps, 2.7K video at 50 fps and 1080 at 120 fps, which makes it the best choice for videographers who are found in outdoor activities. However, there are some problems such as not showing the video but audio only, unsupported file type when playing & editing GoPro Hero4 video in Adobe, especially in 4K. So what’s the matter? And is there an easy workaround to import and edit GoPro Hero4 4K .MP4 Footage in Adobe Premiere Pro with smooth workflow. Read on for details. Well, according to our multiple testing, we found two main basic reasons behind there. As you know, the GoPro Hero4 records MP4 videos in H.264 codec, but it seems Adobe Premiere Pro(including the recent Premier Pro CC) does not like the way. The file type is a compressed output format, but not ideal for editing in NLE system. What’s more, Adobe PP CS6, CC can handle (usually) 4K files without much problem, but it is extremely hardware intensive. CPU: minimum Intel i7-5930K or equivalent. AMD lagging way behind. GPU: dedicated graphics with minimum NVidia GTX 780Ti, or GTX 970 or the higher end Quadro M4000. AMD have currently unreliable drivers. To solve those problems, the quick workaround is to transcode GoPro Hero4 (4K) MP4 files to Premiere Pro natively supported formats (MPG/WMV/MOV are highly recommended in 1080p) as primary delivery format. Along with some help from EaseFab Video Converter for Mac (compatible with the macOS Sierra), it can be done effortlessly. Overall, the program is the best Video Converter for GoPro Hero4 footage. With this Gopro video converter, you can effortlessly transcode Gopro Hero4 MP4 to MPEG-2 or MOV, which will create an Adobe Premiere friendly file format keeping the Gopro original quality. Besides Premiere, this software can also export DNxHD for Avid, Apple ProRes for Final Cut Pro, Apple InterMediate Codec for iMovie and more NLE systems for native editing. 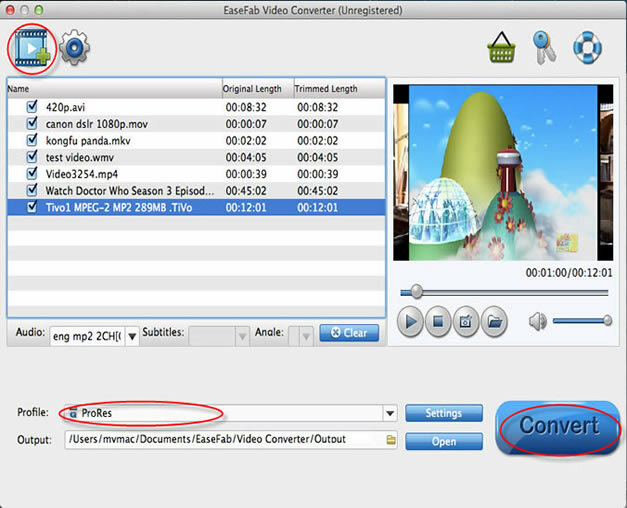 For Windows users, Video Converter is the alternative choice. Install and launch the best GoPro Hero4 video converter and load source MP4 clips(not matter in 1080p, 4K) to it. 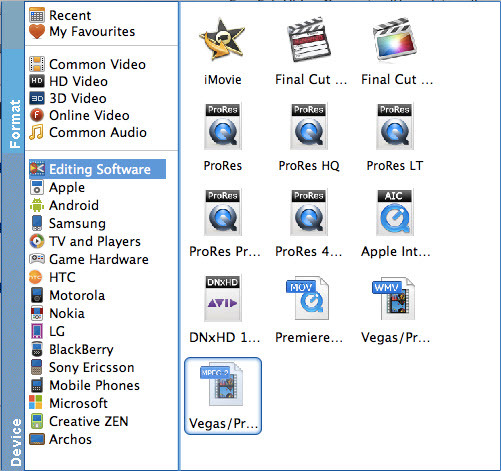 Click “Profile” pull down list to select “Editing Software > MPEG-2 as the best video format for Premiere Pro. WMV, MOV formats are the good choice as well. In case the default settings do not fit your requirement, you can click “Settings” button and enter “Settings” panel to adjust video size, bit rate, frame rate, sample rate and audio channels. Here personally I recommend you to set the video size as 1920*1080p for better editing. Of course, if you want to get original 4K resolution, just keep the video size as original. This entry was posted in Adobe Premiere, Camcorder Workflow and tagged 4k converter, 4k to premiere, edit 4k in premiere, gopro hero4, import gopro 4k to premiere pro. Bookmark the permalink.